Today, we are still facing a lot of hazards und secrets below our feet and in the water. Buried objects are a part of our historical activities from wars, arming and their left overs. Even today we are still facing UXO’s in the ground, despite of clearance activities that were carried out in the past. Not less then 1.9 million tons of bombs and ammunitions were dropped over Germany during World War II. 70 years later, thousands of UXO are still remain in the ground. As the fuses of these UXO’s are aging, this might result in uncontrolled detonations. In addition, military ranges and the continuation of conflict and war activities in the world keep the topic of UXO detection and clearance very present. Ruggedized and flexible equipment is needed when detecting bombs, ammunition and hazardous waste in the ground or under water. 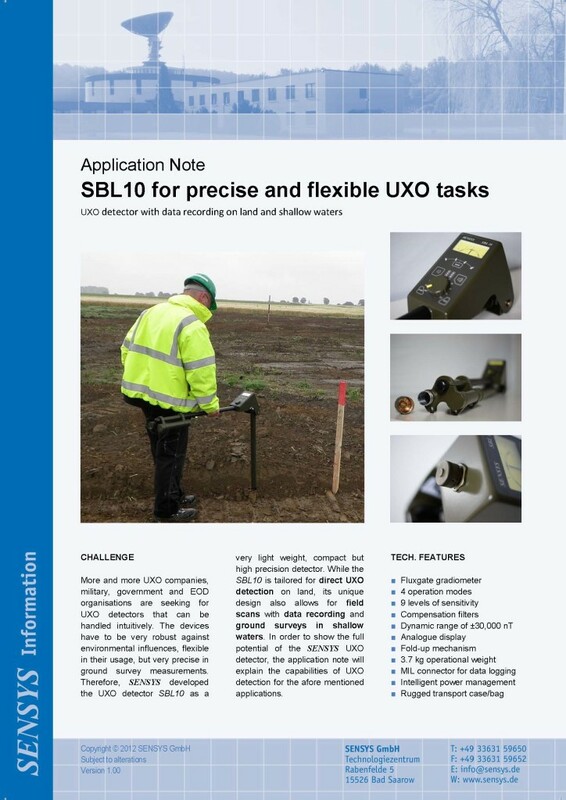 The equipment needs to suit the survey area and to enable the operator to clearly separate the detected objects. For this task, SENSYS offers a wide range of active and passive magnetic and electromagnetic system for area surveys, borehole measurements and underwater surveys.